Osteoarthritis is perhaps one of the most common form of arthritis that we know of. Years of high stress physical work can cause “wear and tear” of your joint cartilage. The stress on the cartilage causes inflammation, resulting in sharp pain and a visibly decreased capacity of motion. When non-surgical treatment options such as medication, physical therapy or lifestyle changes fail to give relief, your surgeon might recommend a surgical treatment such as shoulder replacement. A Shoulder replacement surgery simply means that the damaged part of your shoulder will be surgically replaced. Contrary to popular misconception, it doesn’t always involve the shoulder socket ball being removed. It could also be the replacement of the shoulder socket ball as well as the socket. The replaced ball is usually made of metal and the socket made of a material similar to plastic. Curious about how such a surgery is done? First, the surgeon would make an incision in the front of the shoulder. Once your surgeon exposes your shoulder joint, he would carefully remove the damaged bone and/ or cartilage. The head of the humerus bone is treated so that it is prepared for the insertion of the metal stem and ball. In the case of a total shoulder arthroplasty (literally “surgical repair of joint”), the socket (glenoid) portion of your shoulder will also be resurfaced and replaced to re-create the natural contours of the bones in a healthy shoulder. A chronic joint disease — Rheumatoid Arthritis can directly attack any or all joints in the body. It can strike at any age and is found to affect more women than men. In the shoulder, inflammatory arthritis causes the synovium to thicken and form a tissue growth (pannus) that latches itself to the protective cartilage releasing chemicals that would destroy it. The joint will then become red and swollen, and the pain caused would radiate through your neck and arms. It is best to consult an ortho at the earliest if you have these symptoms. 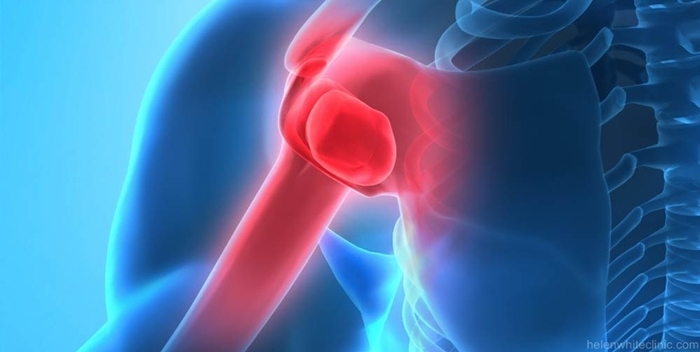 Shoulder replacement surgery is would relieve the arthritic pain and decrease the inflammation. A timely surgery can improve mobility, though it is not advised for all. Patients above 50 years would not be advised to take the surgery as the artificial joints may be rejected by their body. A rotator cuff tear is a tear of one or more of the tendons of the four rotator cuff muscles of the shoulder. Most people with a small cuff tear can be treated arthroscopically. Surgery for rotator cuff is suggested when a patient has a combination of shoulder arthritis and an advanced case of rotator cuff tear. In an advanced stage, pre-operative evaluations are done to make sure if a surgery can be avoided. If found to be degenerated beyond repair from non-surgical methods, it will cause severe pain that can lead to shoulder stiffness or pseudoparalysis (false paralysis). To repair the rotator cuff, the tendons are re-attached to the bone. Sutures are attached to the anchors, which tie the tendon back to the bone. During open repair, surgical incision is made and a large muscle is moved out the way to do the surgery. Open repair is done for large or more complex tears. A fracture is a break, usually in a bone. The upper arm can fracture for a variety trauma-related injuries such as a fall, accident and so on. It is also common in people around the average age of 60 as they become more prone to osteoporosis. Fractures of high impact on the upper humerus can be difficult to treat through non surgical methods. Operative treatment is perhaps the most effective solution to fix fractures. Depending on the age and severity of the fracture, your doctor may suggest shoulder replacement surgery. In this case, the ball and the upper portion of the humerus will be replaced in order to replicate the anatomy of the shoulder. The procedure usually helps regain shoulder function and reduces the amount of pain. This disease can cause a temporary or permanent loss of blood supply to your bones. The reasons for developing avascular necrosis can be due to long-term use of steroids or alcohol, a traumatic injury, rheumatoid arthritis or unhealed fractures. Although avascular necrosis can happen in any bone, it usually affects the ends of long bones such as the humerus. When this happens, the shoulder becomes painful and movement becomes limited. The goal of treating avascular necrosis is to improve the use of the joint and to stop it from collapsing further. Treatment options will be based on your condition and may include medication, physical therapy or shoulder replacement surgery.